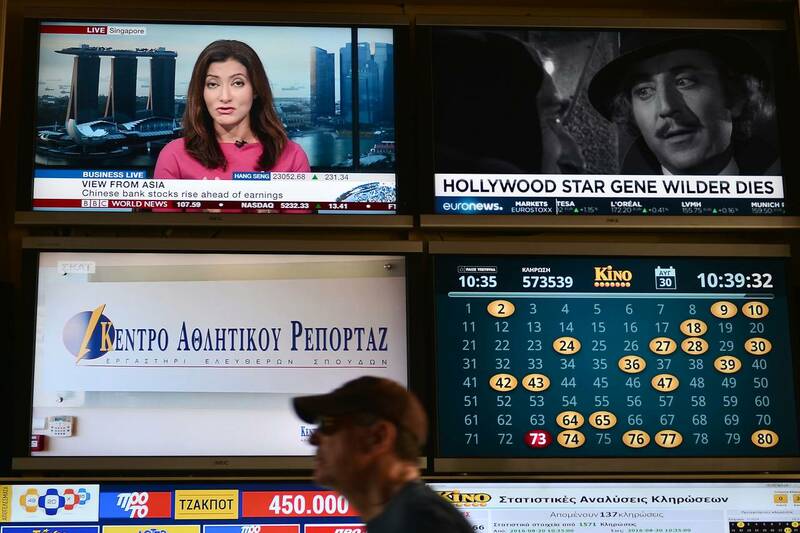 Greece was auctioning off broadcast licenses on Wednesday in a move the left-led government says will clean up a corrupt media sector but that critics say is a bid for political control of TV. Gathered in a government building in the Greek capital, executives from eight companies started the auction early Tuesday, with offers beginning at €3 million ($3,341,250) and increasing in increments of €500,000. The sale, which will reduce the number of national private television stations from seven to four, was expected to continue until late Wednesday or early Thursday. Existing broadcasters who don’t win a license are required to go off the air within three months, the government has said. Under the country’s bailout plan with international creditors, the government promised to auction broadcast licenses for the first time. Licenses have been granted without charge since Greece first allowed private broadcasting in 1989. 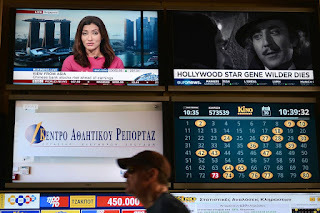 The decision by the ruling left-wing Syriza party to license only four channels, however, has outraged Greek media officials and the opposition, who accuse Prime Minister Alexis Tsipras of seeking to forge political alliances with favored business groups. Greece’s finance chief said the next international aid payout to the country may be delayed as the European Union stepped up warnings about domestic political meddling in the Greek state. Finance Minister Euclid Tsakalotos raised the possibility of the government in Athens failing to qualify on time for a 2.8 billion-euro ($3.1 billion) disbursement due in September from the euro area. That’s what remains of a 10.3 billion-euro tranche that finance ministers approved in principle three months ago. Slipping timetables have been a regular feature of loan payouts to Greece since it first turned to the euro area and the International Monetary Fund for a rescue in 2010. Now in it’s third bailout, the country faces continued creditor warnings about backsliding on overhauls that are a condition for aid. Brussels has urged Athens to repudiate claims that Greece’s national statistics agency produced false data under its former chief, intervening in a domestic criminal case that has angered the country’s international lenders. The European Commission’s call for Greece to back Elstat, the country’s statistical body, has also raised questions over its bailout loans. 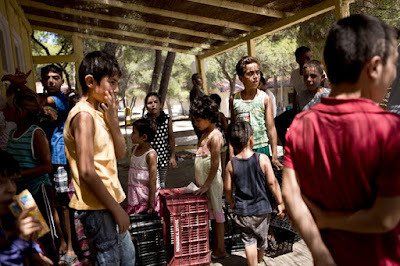 Athens is required to uphold public support for the country’s statistics as a condition for international aid. The commission stopped short of demanding a halt to criminal proceedings against Andreas Georgiou, who faces trial over allegations that Elstat inflated deficit figures, which supported the case for years of harsh austerity in a succession of bailouts. Mr Georgiou has denied any wrongdoing. 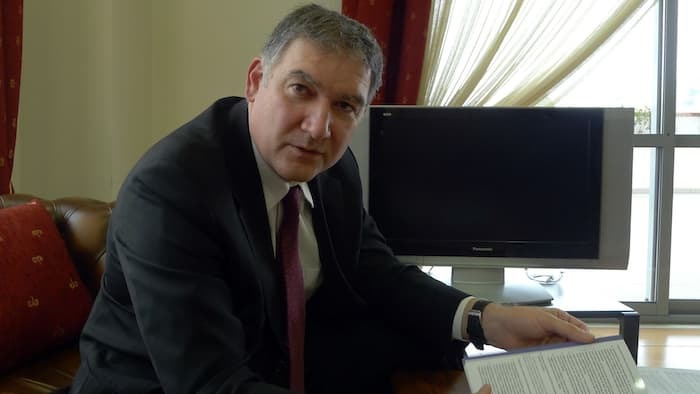 “The commission and Eurostat continue to have full confidence in the quality and reliability of the data delivered by Elstat during the term of office of Mr Georgiou,” the commission said in a letter to Athens on Wednesday. 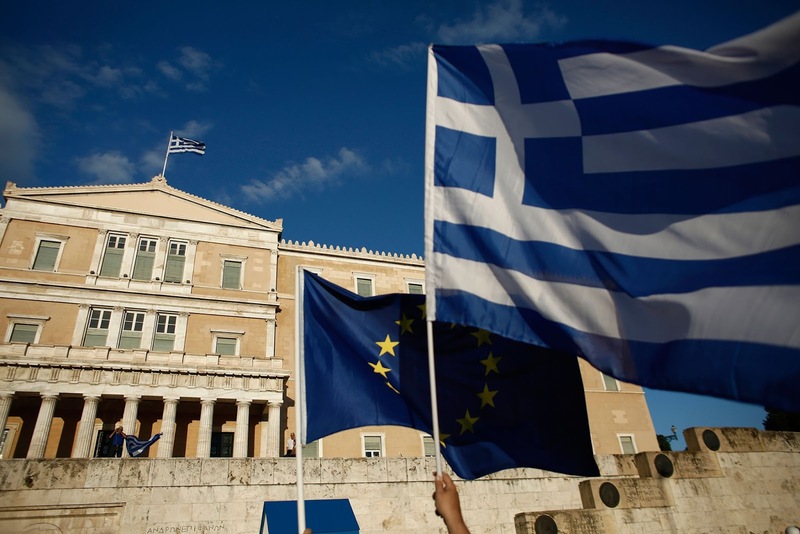 The European Union urged Greece’s government to do more to protect the independence of its statistics agency, saying the country’s fiscal data in recent years had been accurate. 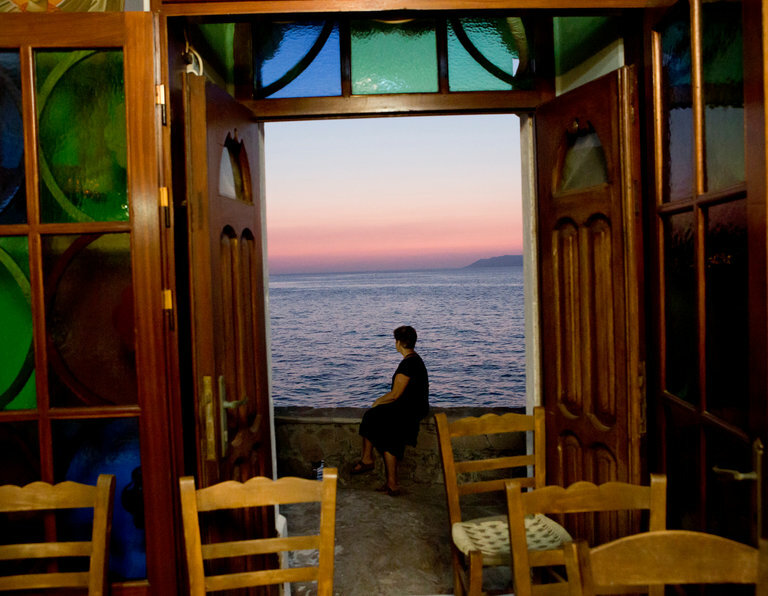 The row goes back to a case that lay at the heart of Greece’s economic and financial crisis. Greece has pledged repeatedly to ensure the statistics agency’s independence as part of its bailout programs in recent years. Failure to follow through on those commitments could potentially endanger future bailout payments. If convicted, Mr. Georgiou faces a prison sentence of up to 10 years. He has vigorously denied the allegations, saying he simply applied EU accounting standards. 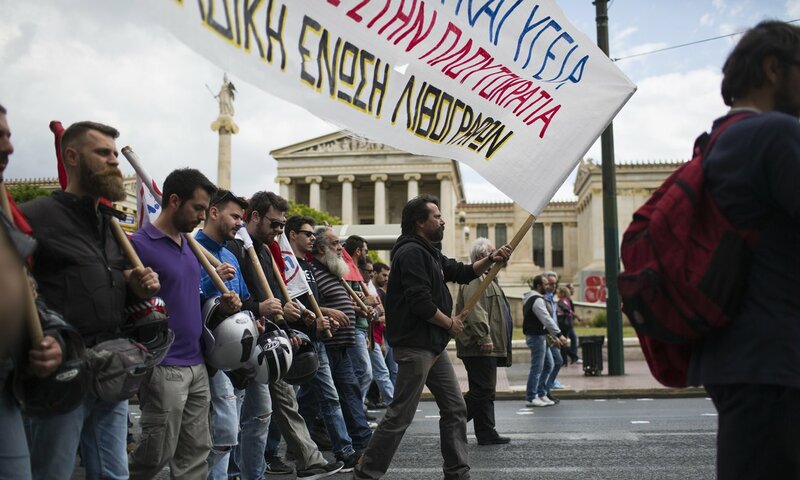 The first of eight Turkish military officers who fled the country after a failed coup appeared before a Greek asylum committee on Friday in a case that has strained relations between Athens and Ankara — and within the ruling Syriza party. The officers flew a military helicopter across the border after the attempt to topple President Recep Tayyip Erdogan last month. Turkey is ratcheting up pressure on Alexis Tsipras, the Greek prime minister, to return the junior officers. While Turkish officials have pushed ahead with a formal extradition demand for the soldiers, they have not made any public statements criticising Greece. This is in stark contrast to its near-daily attacks on the US for its refusal to extradite Fethullah Gulen, the self-exiled preacher blamed for the coup. 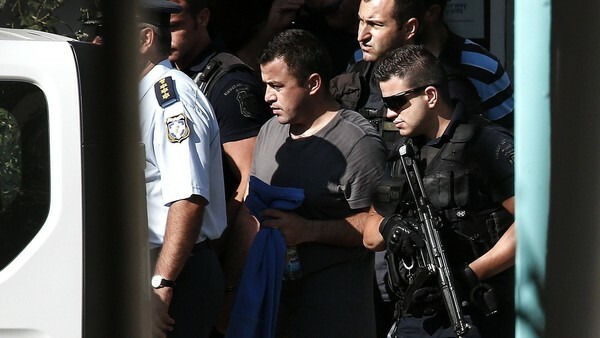 It is not known when the formal extradition hearings will be held, but two Turkish officials said this week that the return of the soldiers would show that Greece and the EU were serious about helping Turkey find the perpetrators of the coup. But the officials also made clear that their return was a symbolic issue, rather than a requirement to complete the investigation. No one loves the messenger who brings bad news. 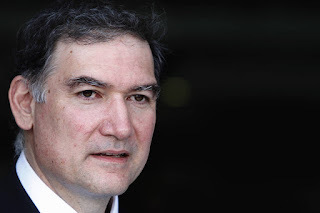 The sentiment expressed by Sophocles is as much in evidence as ever in Athens, where Andreas Georgiou, the former chief of Greece’s statistical agency, faces criminal charges of “undermining the national interest” — because he applied EU rules to produce an accurate calculation of the country’s budget deficit. The figures were validated by EU statisticians, but his critics accuse him of colluding with Eurostat to inflate the debt, and say Greece was forced to accept bigger loans and harsher austerity as a result. 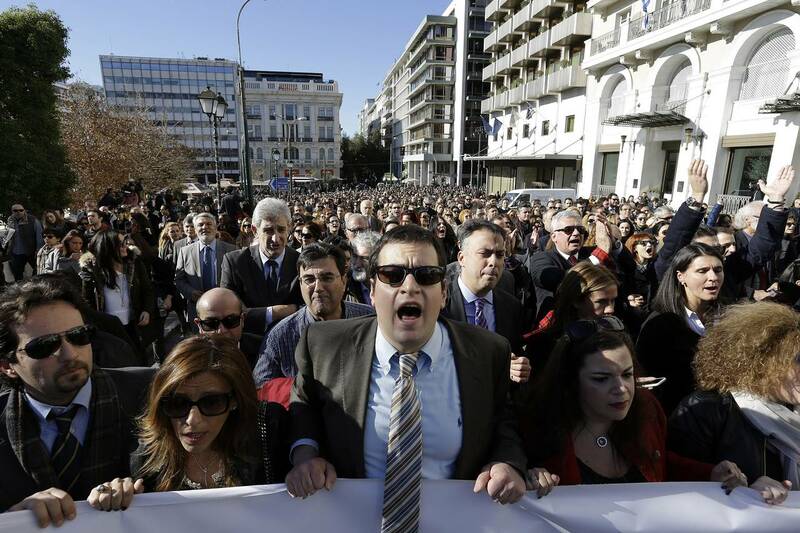 There are many people at fault in this latest twist in the Greek debt crisis but Mr Georgiou is not among them. First and foremost is the government led by Costas Karamanlis from 2004 to 2009 — responsible for the worst excesses of over-borrowing in the run-up to the global financial crisis, and for its persistent under-reporting. The campaign against Mr Georgiou looks like a vindictive attempt to shift the blame for Greece’s financial collapse from a discredited political class that still hopes to make a comeback. The socialist government that succeeded Mr Karamanlis showed a similar suspicion of Mr Georgiou’s work. They appointed him to head Elstat, an independent statistical agency set up as a condition of Greece’s first bailout, but also installed two political appointees on its board to keep him in check — one of whom will soon go on trial charged with hacking Mr Georgiou’s computer. 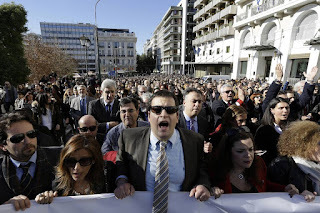 Alexis Tsipras, the prime minister, pledged to reform Greece’s corrupt political system when he brought his radical Syriza party to power but he too appears content to see the case against Mr Georgiou go ahead. The statistician, who spent more than two decades at the International Monetary Fund, is too convenient a scapegoat for a party ideologically opposed to all the IMF represents. Above all, Mr Georgiou’s prosecution reflects a political culture in which facts and figures are a matter of negotiation and convenience, and not of objective reality. If statistics can be massaged and manufactured, then an unwelcome number must be an act of hostility — and it becomes easy to believe that a former IMF official implementing European rules is serving the interests of Greece’s creditors. Statistics experts are open to criticism if the numbers fail to add up. But Andreas Georgiou, former chief of Greece’s statistical agency, says he is living in an upside-down world where he is being prosecuted for consistently getting them right. Mr Georgiou and two colleagues are to face trial on criminal charges of undermining the “national interest”, according to a ruling last week by the Greek supreme court overturning their acquittal by a lower court. The charges concern the alleged “inflation” of the budget deficit and debt figures for 2009, the year in which Greece plunged into an unprecedented financial crisis that prompted the first of three bailouts by the EU and the International Monetary Fund. The case has sparked outrage from economists and statisticians worldwide who believe Mr Georgiou has become a scapegoat for Greece’s political class, which refuses to accept responsibility for the country’s financial collapse or take ownership of a bitterly contested seven-year programme of fiscal and structural reform. As her young children played near heaps of garbage, picking through burned corn cobs and crushed plastic bottles to fashion new toys, Shiraz Madran, a 28-year-old mother of four, turned with tear-rimmed eyes to survey the desolate encampment that has become her home. 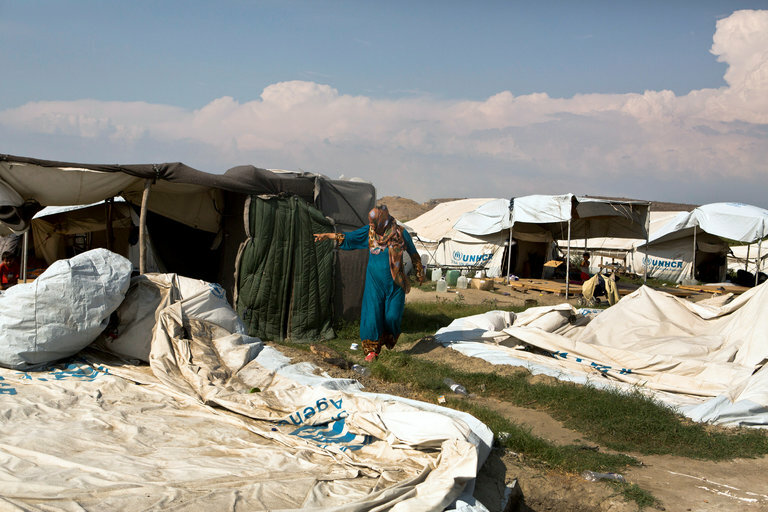 This year, her family fled Syria, only to get stuck at Greece’s northern border with Macedonia in Idomeni, a town that had been the gateway to northern Europe for more than one million migrants from the Middle East and Africa seeking a haven from conflict. After Europe sealed the border in February to curb the unceasing stream, the Greek authorities relocated many of those massed in Idomeni to a camp on this wind-beaten agricultural plain in northern Greece, with promises to process their asylum bids quickly. 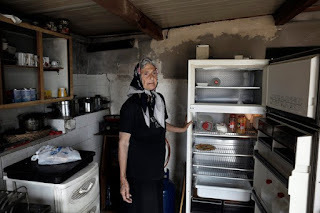 But weeks have turned into months, and Mrs. Madran’s life has spiraled into a despondent daily routine of scrounging for food for her dust-covered children and begging the authorities for any news about their asylum application. “No one tells us anything — we have no idea what our future is going to be,” she said. In a side street in the heart of Athens, two siblings are hard at work. For the past year they have run their hairdressing business – an enterprise that was once located on a busy boulevard – out of a two-bedroom flat. 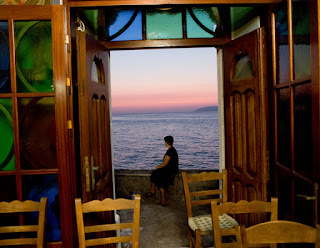 The move was purely financial: last summer, as it became clear that Greeks would be hit by yet more austerity to foot the bill for saving their country from economic collapse, they realised their business would go bust if it continued operating legally. They are far from being alone. A year after debt-stricken Greece received its third financial rescue in the form of international funding worth €86bn, such survival techniques have become commonplace. For a middle class eviscerated by relentless rounds of cuts and tax rises – the price of the country’s ongoing struggle to avert bankruptcy – the draconian conditions attached to the latest bailout are invariably invoked in their defence. Measures ranging from the overhaul of the pension system to indirect duties – slapped on beer, fuel and almost everything in between – and a controversial increase in VAT are similarly cited by Greeks now reneging on loan repayments, property taxes and energy bills. 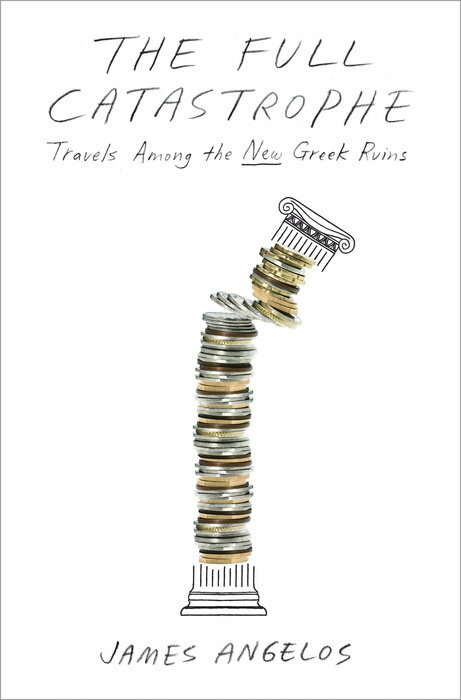 Greek Crisis, the Book. Or Actually Several of Them. In May last year, James K. Galbraith, a left-leaning American economist, sent an email to Greece’s finance minister, Yanis Varoufakis, in which he argued that an exit from the eurozone would benefit Greece. Mr. Galbraith, who was advising Mr. Varoufakis at the time, made the case that a new currency would wash away the country’s debts, solve Greece’s competitiveness problem and ultimately create what he called a “good society.” Though the step was opposed by most Greeks, he had drawn up a contingency plan for Greece under Mr. Varoufakis’s direction, in the event the country was forced to leave the currency zone by its creditors. In the end, there was not a so-called Grexit. One year ago this month, after the polarizing finance minister left his post, Greece agreed to its third bailout with Europe, accepting yet another round of brutal austerity measures as the price for a new round of loans. Mr. Galbraith’s vision of a sun-kissed utopia of powerful unions, small businesses and cultural exchanges was published in June in his book of essays, speeches and assorted memorandums (Welcome to the Poisoned Chalice; Yale University Press) describing the five months he spent as an unofficial member of Mr. Varoufakis’s inner policy circle. N. Christodoulakis, "An Economic Analysis of Conflicts With an Application to the Greek Civil War 1946-1949"
This book provides a quantitative framework for the analysis of conflict dynamics and for estimating the economic costs associated with civil wars. The author develops modified Lotka-Volterra equations to model conflict dynamics, to yield realistic representations of battle processes, and to allow us to assess prolonged conflict traps. The economic costs of civil wars are evaluated with the help of two alternative methods: Firstly, the author employs a production function to determine how the destruction of human and physical capital stocks undermines economic growth in the medium term. Secondly, he develops a synthetic control approach, where the cost is obtained as the divergence of actual economic activity from a hypothetical path in the absence of civil war. The difference between the two approaches gives an indication of the adverse externalities impinging upon the economy in the form of institutional destruction. By using detailed time-series regarding battle casualties, local socio-economic indicators, and capital stock destruction during the Greek Civil War (1946-1949), a full-scale application of the above framework is presented and discussed. The Greek crisis is one of the worst in history, even in the context of recorded ‘trifecta’ crises – the combination of a sudden stop with output collapse, a sovereign debt crisis, and a lending boom/bust. This column quantifies the role of each of these factors to better understand the crisis and formulate appropriate policy responses. While fiscal consolidation was important in driving the drop in output, it accounted for only for half of that drop. Much of the remainder can be explained by the higher funding costs of the government and private sectors due to the sudden stop. 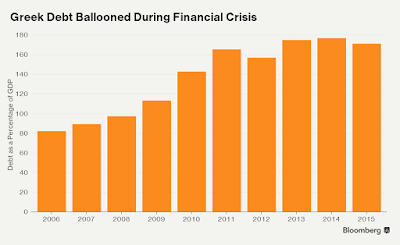 For its sheer intensity and duration, the Greek crisis has been quite unprecedented. One measure says it all – real income per capita declined every single year between 2007 and 2013, a cumulated drop of 26%. Since then, it has barely risen. 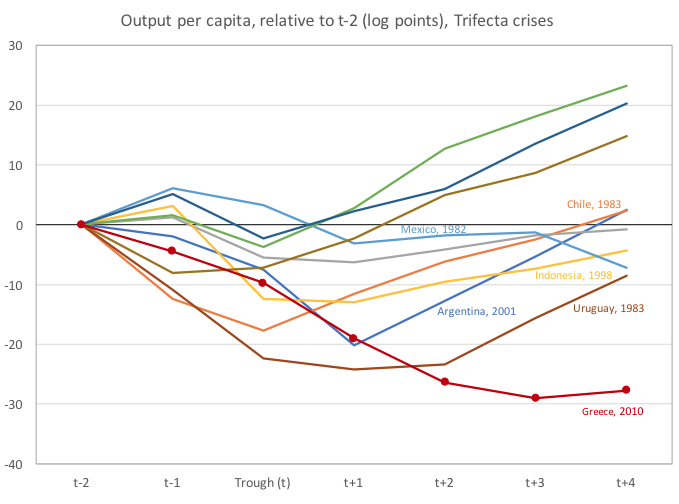 To put the Greek crisis in perspective, we compare it in Figure 1 with the sample of all ‘Trifecta crises’ since 1980 – the combination of a sudden stop with output collapse, a sovereign debt crisis, and a lending boom/bust. This is the who’s who of financial crises, a distinguished group that includes Argentina and Turkey in 2001, Ecuador in 1999, Indonesia and Russia in 1998, Chile and Uruguay in 1983, and Mexico in 1982. 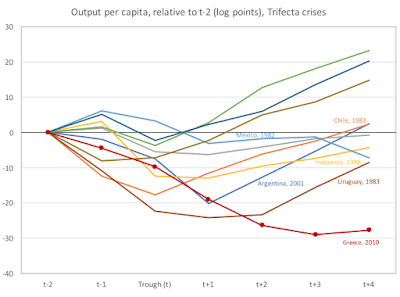 Greece's drop in output was significantly more severe and protracted than any of these episodes. 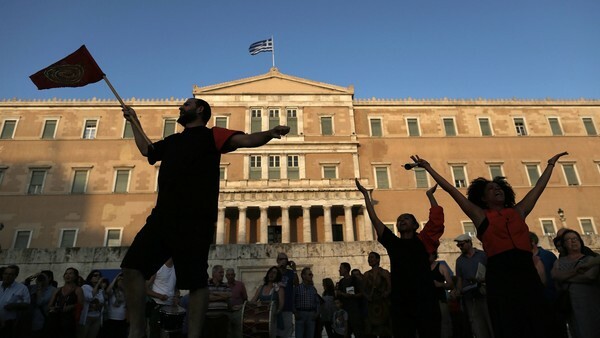 The relative calm in Greece this summer compared to last year’s chaos may lead outside observers to believe that the country’s financial problems are on their way to being resolved. After all, the national government, led by the far-left Syriza party, seems committed to implementing the bailout program it signed last year. And negotiations are already under way for a deal on debt relief. But these negotiations will likely take a long time. No one expects a meaningful restructuring of Greece’s debt before the next German government is formed at the end of 2017. Until that happens, Athens will labor under requirements for budget surpluses that will suffocate the economy. This has made a bad situation on the ground even worse. 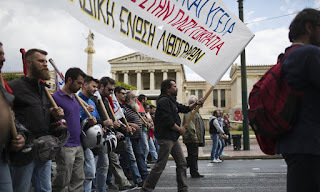 The combination of overambitious fiscal targets and widespread tax evasion has led, throughout the bailout period but especially under Syriza, to constantly rising tax and insurance-contribution rates, which leave even law-abiding, relatively well-off Greeks unable to meet their obligations. According to calculations recently released by the Kathimerini newspaper, once the full array of new tax and insurance-contribution increases come into effect early next year, real-estate owners who rent out their property may be forced to pay more than 100% of the income they earn in personal and property taxes. Self-employed individuals who make as little as €10,000 ($11,195) a year will have to pay 60% to 74% of it in taxes and insurance contributions. Private-capital firms—a new category of company, introduced during the recent crisis and designed to boost entrepreneurship—will have to hand over 43% to 60% of their profits to the state, even for earnings as low as €5,000 a year. The former chief of the Greek statistics agency is to face criminal trial for undermining the “national interest” after he allegedly overstated the country’s budget deficit. 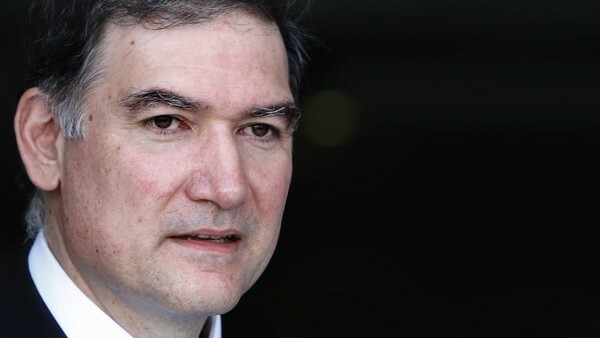 Greece’s supreme court ruled that Andreas Georgiou should face charges that carry a prison term of up to 10 years despite concern inside Greece that the radical left government is politicising independent institutions. The case has also prompted concern among officials at the European Commission and the European Central Bank, who accepted without reservation the accuracy of data produced by Elstat, an agency set up in the wake of Greece’s first international bailout. “The situation is clear. It is not a pleasant case. The commission and ECB have been watching this and have reacted very negatively to the case,” said a high-level eurozone official.